I was really excited when I learned about Small Shed Flatbreads. It sounded tasty and just within the limits of our Marin lunch boundaries. We rushed over and found a seat in the window. From the outside, it looked like a chalet, the interior was rustic and cute and we felt like we were on the verge of a great experience. Then came the slowness. They were so slow. Well meaning, but slow. The one, young, beautiful, sorrowful-looking waitress was working the whole floor. The place was only a third full when we arrived, but as it filled, the slower and slower everything became. Ugh, this really didn't make a good impression on me. The base was a very thin, barely crispy, crust. This meagre dough base was flooded with moist clams displaying the unsubtle flavours of undercooked garlic and onions, mixed with dry white wine. Emphasis on the word mixed, not the word sautéed. What was wrong with me. Why on earth did I choose this mess of a pizza? Cheese was not even discernible, the bread base was a soggy mess underneath its topping and extra (recommended) pancetta was the only tasty thing on the plate. Ewwww. Thumbs down. Fred hardly faired any better with his choice. Undercooking seemed to be a problem with his tomaaahto sauce too. It was vivid red, and acidic and tart. Imagine how a non-cooked tin of tomatoes might taste, then you are in the picture. His dough was almost as flabby as mine. Disappointment all round. For Your Consideration Becks & Posh has been nominated for best restaurant reviews and best new blog in the 2004 Food Blog Awards. How disppointing. Do you remember the other offerings or did you see any diners enjoying their choices? We were looking forward to trying this local eatery! I think the people next to us were enjoying their pizzas more than us. I am not sure what they had. If they weren't so slow I might give them one more try, and have a salad or something, but as we work in San Rafael and the drive is about 10+ minutes, and the lunch took forever, and we only have an hour break, its not really plausible. If you do manage to try it out and have a good experience there, please report back if you like! I'd love to hear that it's not all bad! The concept and location is far more romantic and appealing than somewhere like Amicis, for example, but at Amicis the pizzas simply taste much much better. Maybe you should stick to reviewing chains like Roundtable, Chuck E Cheese and California Pizza Kitchen. Having lived in New York City for years, I was thrilled when someone in the Bay Area finally elevated pizza to an artful level. Small Shed Flatbread is nothing short of a Godsend for pizza lovers like me who can't make their way to New York regularly for a decent slice. Their entire approach -- from the wood-fired ovens and organic ingredients, to the crispy wafer-thin crusts and always interesting wines, salads and desserts -- makes Small Shed a welcome addition to Mill Valley. Based on your critique, I would urge you to stick with the likes of Amici's (a simple menu and utterly forgettable experience), and leave what few tables Small Shed has open for folks like me. If on the other hand, you posess a more sophisticated palate and an appreciation for the art of pizza, give Small Shed a try. You won't be disappointed. Oh and by the way - I don't think Flatbreads has a monopoly on 'artful' pizza in the Bay Area. 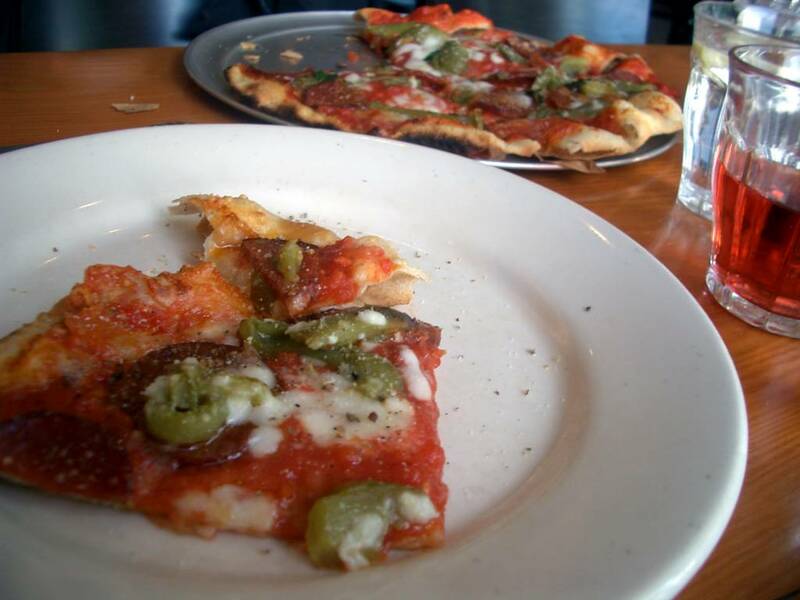 Here are some other popular places you might like to try for pizza. All of them have their own unique style, maybe you will find one or two of them to your taste. You might find SF Pizza Discussion Board interesting too. Too bad about your experience Becks & Posh. The service definately S*&cked in the first few months, and can still be slow. However, I have not had a bad pizza yet there, although I don't care much for the lamb pizza. Try the Blue Bread next time its Delish. I heart Small Shed. Our family is a monthly regular there. It can be slow sometimes, maybe most times. But whether there is a group of us or just the 4 of us..it's the same amount of time. 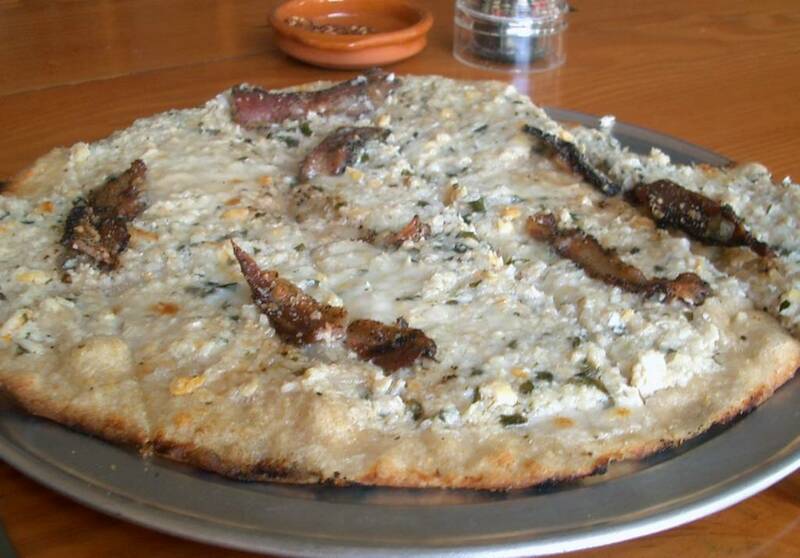 THis is GREAT rustic Thin pizza. I love clams but the Shhh! is last on my list. The Antonioni is a staple and last time I decided to just get two since I always delve way into my husband's share! The Bolinas Beat (local organic greens is beautiful! Pistachios, Balsamic is nice and syrupy, a wedge of blue-ish (Pt Reyes?) Baby Beets and The famous Bolinas greens make this a fave salad. Being a blue cheese love the WEDGE is formidable wedge of Lettuce head and home made blue cheese w/crumbled fresh bacon crispies and chilled! Other great pizzas are the daily special, the Blue Cheese, and one with Lamb..don't like lamb but it is good everytime I am with someone who orders it. Drinks...are excellent here too! They have that wonderful Blonde Ale Hoegarden-I'm not a beer drinker but this is wonderful...And a great green tea Cola called "Cricket." Our pizzas have always been thin and crispy, just the way we like. Maybe a bit limp in the middle. But TASTY! With these detailed gems it really an asset to a community already flooded with Italian eateries. It's a delicious slice of "cozy" in Mill Valley. If you love Pizza and not the chain kind, but something special you've gotta make a stop.